If you’re worried that water will damage your home’s floors, then you’re not alone. The threat of water damage is a real issue that must be considered when choosing a new floor. From flooding to plumbing issues, the chances of your property being harmed by unexpected water intrusion are significant enough to warrant protection for your floors. Recent advances in floor production techniques have enabled manufacturers to design products that are specifically made for active lifestyles and moisture-prone areas. While homeowners want attractive floors for their living spaces, they also need to know that their floors will be able to resist water caused by accidents. With our waterproof luxury vinyl flooring, you’ll never have to sacrifice style for durability when it comes to choosing a new floor for your home. We carry a full range of waterproof vinyl flooring that is ideal for any home’s bathrooms, kitchens, basements, mudrooms, or any other area that has the potential to get wet on a regular basis. 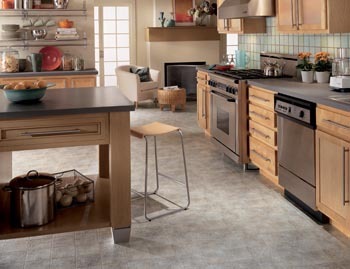 Rather than settling for floor with a dull appearance, our products are available in a variety of colors and styles. Our waterproof floors are specially fabricated to resemble the appearance of natural hardwood, stone, and ceramic flooring, which gives you the option to enjoy floors that are both functional and fashionable. Instead of spending money on floors that aren’t designed to withstand water damage, consider the advantage of products created using special materials designed to stand up to even the wettest environments. Simply visit our showroom to receive further assistance for any questions you may have about the appeal and durability of our waterproof floors. Protecting your home’s carpet from pet accidents, moisture, and spills is essential for prolonging its lifespan. There are only so many ways to guard standard carpets and rugs from water damage, and larger spills and recurring moisture require major solutions. With waterproof carpet, your floors will not only be resistant to stains, but will also be safe from any potential water damage all the way to the floor beneath. The state-of-the-art carpet floors that our store offers give your home a unique layer of protection and require minimal maintenance, so you’ll never have to worry about dealing with unexpected damage ever again. All you need to do is wipe up any spills that occur or soak up the water or other moisture with a towel, and there’s no need to be concerned about the problem of mold affecting your floors or the foundation beneath. Contact us to learn more about our waterproof flooring. We serve clients in Modesto, California, and the surrounding areas.